On Thursday 8th June Ultimate Experience’s venue, The Artillery Garden at The HAC played host to the NABS’ Stranger Than Summer event: The Twisted Toy Box. GSP Events organised the fundraiser, working with the Ultimate Experience team to pull out all the stops. NABS charity provides support for people working within the advertising and media industry, through career coaching, guidance, networking opportunities, workshops and grants. They are passionate about improving people’s well-being and supporting them through their career. 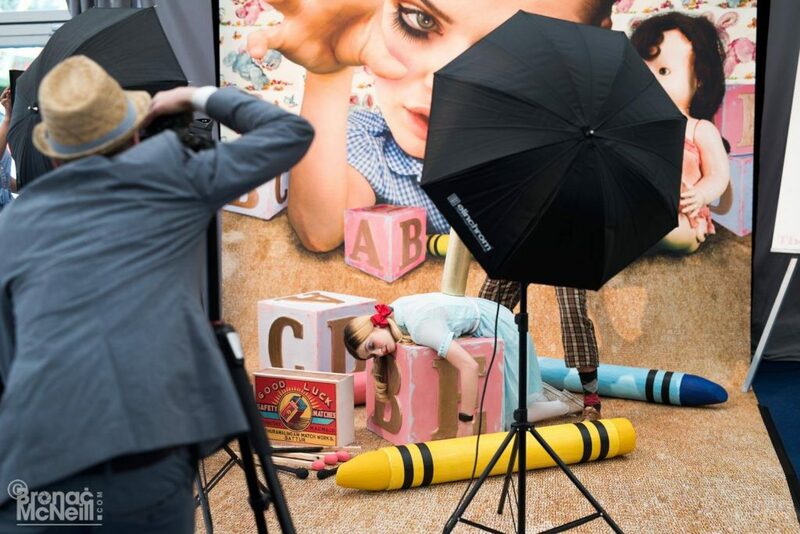 The Artillery Garden at The HAC was transformed into a giant play den, with oversized alphabet building blocks, huge crayons, a full-size train engine, snakes and ladders theming and puppets hanging from the ceiling. The 10m long bar was converted into the Broken Toy Bar with damaged dolls and toy parts. Upon arrival guests had numerous opportunities to find their inner child with The Artillery Garden’s private fun fair, floor piano, giant Scalextric and the Toy Transformation Stations (face painting!). 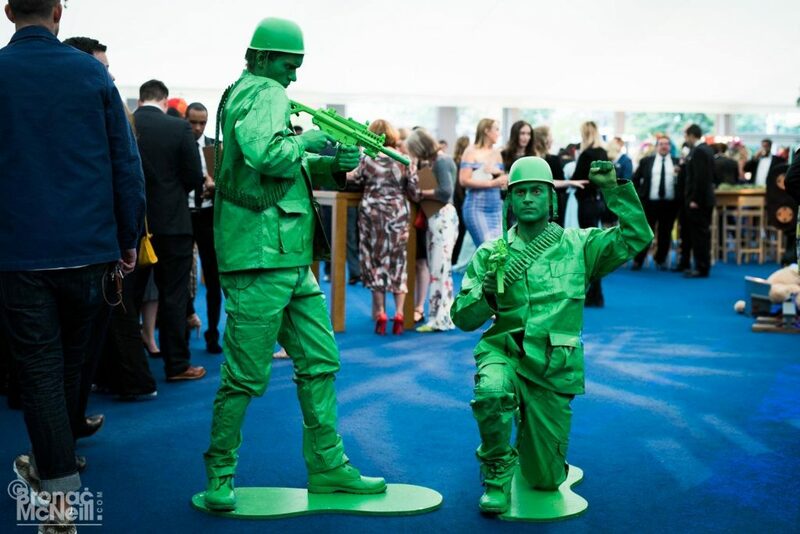 Live green toy soldiers and wind up dolls entertained guests, as well as guests being able to be immersed in a toy box themed photo booth. The Stranger Than Summer committee took centre stage to welcome guests to the main dining room, just before a delicious three course meal was served by Create. Gin cured salmon fillet with elderflower cream, peach blossom, pickled lemon, spelt crumb and dill was given as the starter. The main course followed with pot roasted guinea fowl, potato fondant, salsify puree, charred tender stem broccoli, confit salsify, Madeira and tarragon. Tables of guests then took part in the “guess who killed Humpty Dumpty” challenge. A trio of desserts finished the meal with mini eclairs, chocolate cake pops and earl grey panna cotta. Charity auctioneer, Russ Williams, was brought to the stage to kick start the auction. Prizes included luxury treatment at a Mayfair spa, Champagne Afternoon Tea at The Worsley, a year’s subscription to Sky Cinema packages and tickets to see Manchester United. For the finale Jamelia took to the stage with a dazzling performance before guests headed to the dancefloor to end their evening of entertainment in central London. If you’d like to find out more about what we can do for you, get in touch today!